When does love and attraction turn into obsession? Sam Grist is a college student in Kate Youngblood’s writing workshop. Kate is impressed with his writing style. She is also feeling a “strong river current” pulling her towards him. However, Kate is hoping to get tenure. Starting an affair with a student would not be smart and might even be career-ending. Her first crime novel was moderately successful but her agent hates her latest book. She needs the teaching job to support herself now that her husband has left her for a much younger woman. Sam also has strong feelings for Kate. He stares at her with longing during class. Soon he starts following her and peeps in her windows. His obsession only grows from there. 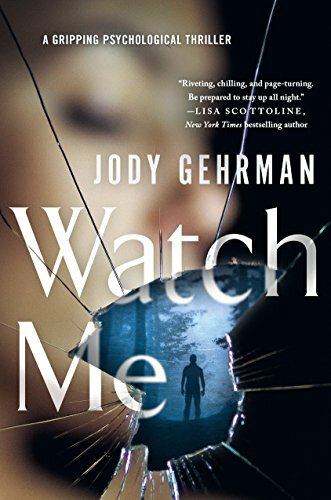 Watch Me is a slow-burning thriller alternating between Kate and Sam’s point of view. At first, a reader feels sympathy for Sam’s love for Kate. It seems like a heartfelt student’s crush on his older college professor. But then Sam begins to go too far. As Sam’s history is revealed, his intentions begin to look much darker. The eerie atmosphere and Sam’s darkening worldview propel the plot forward even though the action doesn’t really start until more than a third into the book. Watch Me is highly recommended to fans of character-driven psychological suspense. The relationship between Kate and Sam resembles the one between Agent Starling and Hannibal Lecter. It is obviously not healthy and will probably end badly but it is both a compelling and unsettling trip to that end. 4 stars! Thanks to the publisher, St. Martin’s Griffin, and NetGalley for the advance review copy.